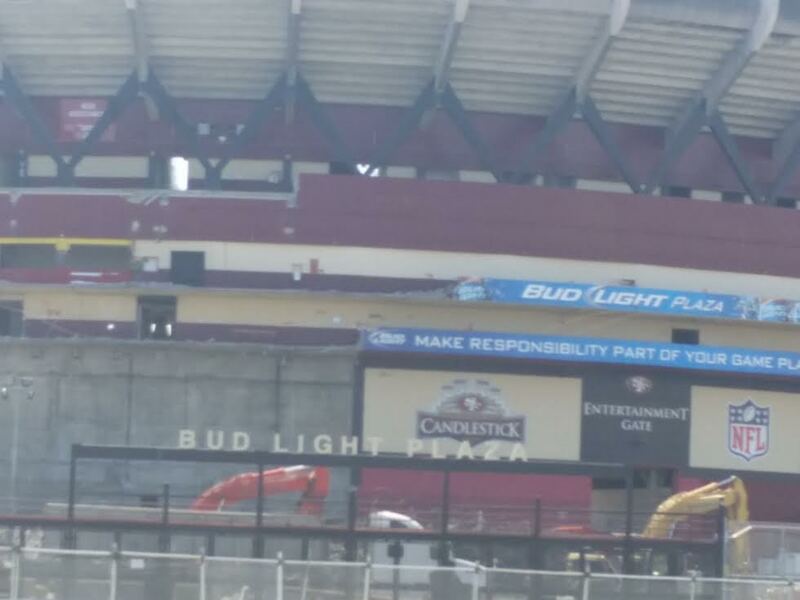 I wondered if the sun was shining so brightly at the new shiny downtown stadium they rave about so much, where the Giants announcers always proclaim a ‘beautiful day’ or ‘beautiful night’ even if the temperature is 58. It gets cold at the new place, too. 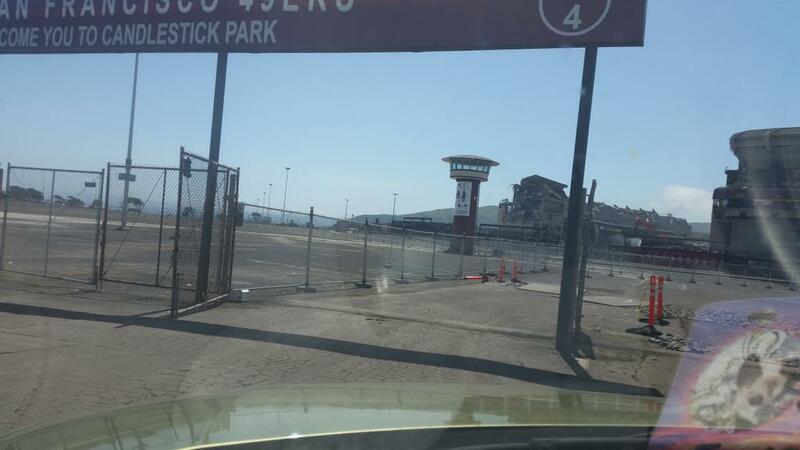 Road to Ruin – Where 49ers last played, Candlestick parking lot reminder of good times for 49ers and Giants fans. an effort to not only save time while recreating the old bus route I took as a kid . At least I would catch the tail end of that bus route. 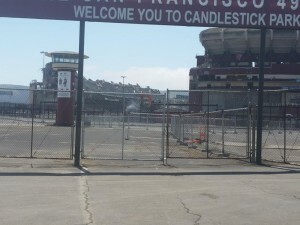 It looked like nothing had changed on the last leg to Candlestick… the bumpy roads amidst blocks of small, multi-colored matchbox homes abutting one another. to see all that was being done to my friend. I don’t know if it was better to see him go bit by bit, as sanctioned by the neighbors rather than one big explosion which would upset a lot. But, who could be upset more, as it was to slowly lose a friend. Maybe fast would have been better. 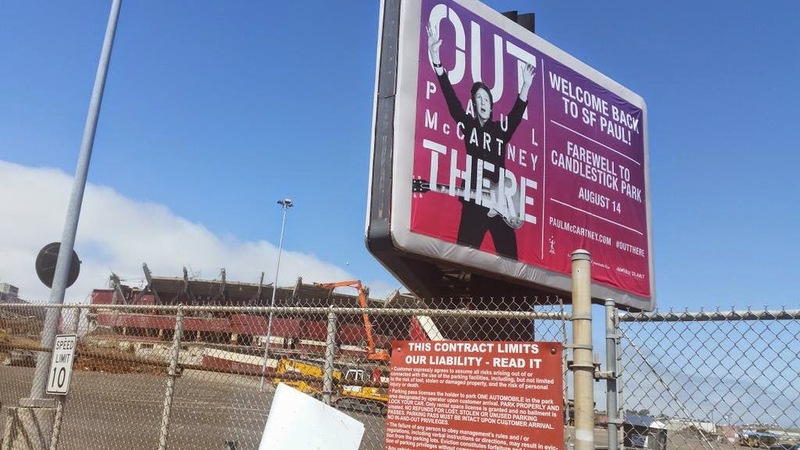 since the Beatles’ last concert at Candlestick Park . to see the actual blood and guts. 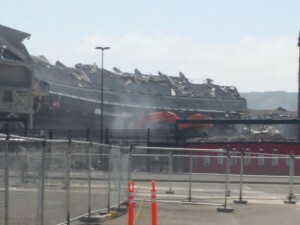 Why destroy a beautiful last image/memory any further. As I gazed out at my friend he didn’t look quite as big as he did as when I was a kid. weather everyone complained about. 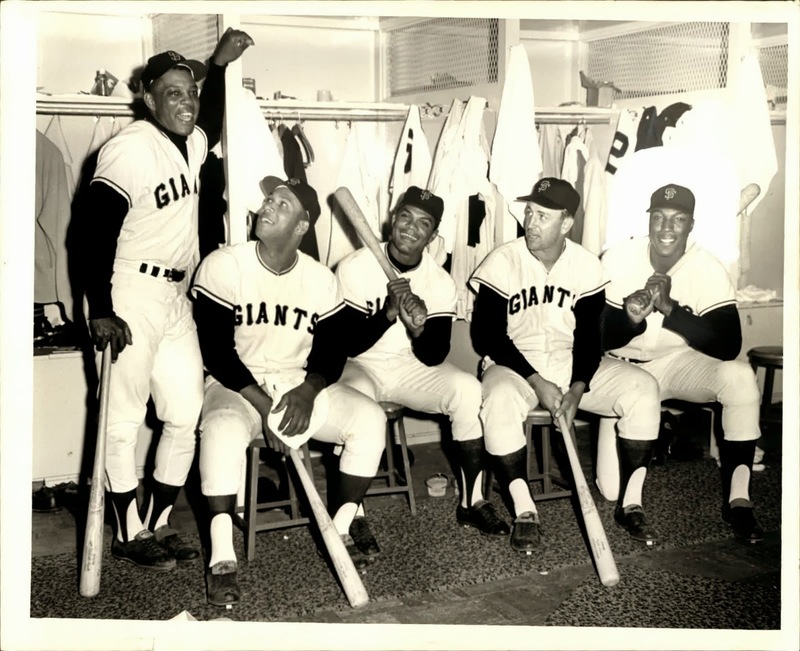 The Giants were winners in the early 1960s. 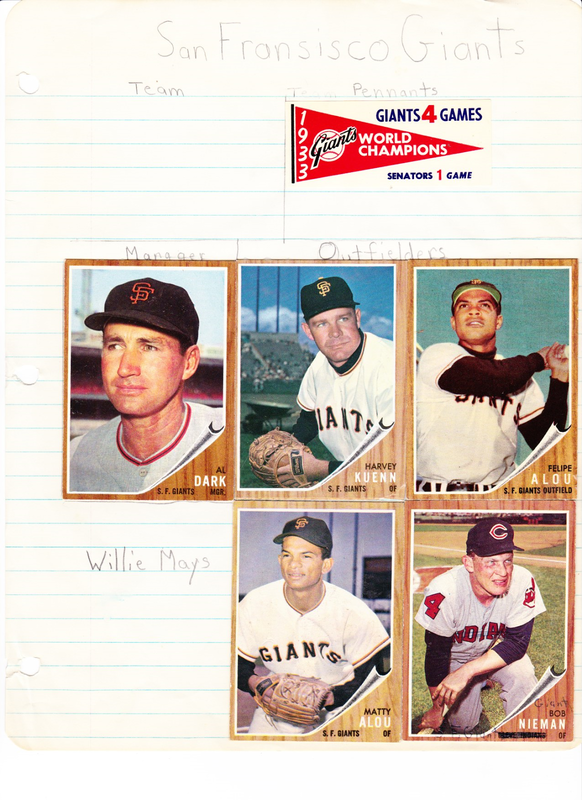 I did collect every Giants baseball card that year except Willie Mays (see sample below). Remembering a simpler time, the ‘black and white days’ of the early 1960s. Can you name these Giants greats? Alou brothers Felipe and Matty, Hiller, Haller, Davenport, Miller, Pierce, Sanford, Bailey. I lived in Oakland so I couldn’t be called a traitor. in the early 1960s, as I recall. 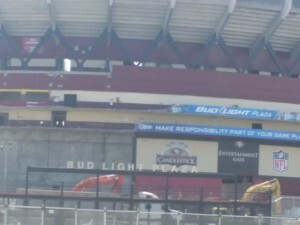 even if the temp is 58 – and it can get cold at the new park, too. 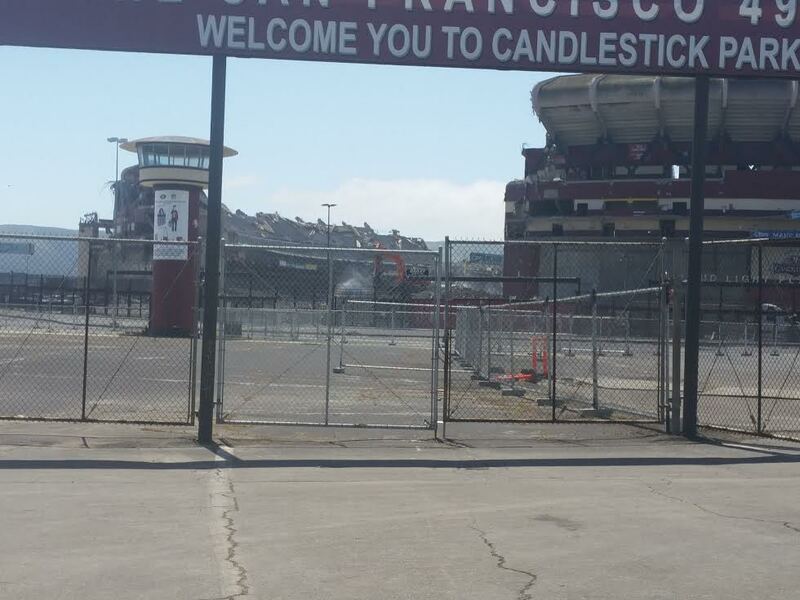 more than I do the game, which wasn’t the case at Candlestick for me. 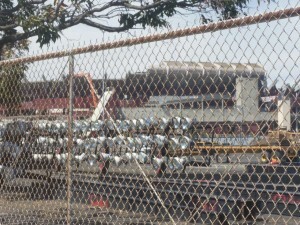 In the Eighties and Nineties the Forty-Niners were football winners at Candlestick. Nobody complained about the cold weather then. Maybe the winters in San Francisco ARE warmer than the summers , as Mark Twain once reminded us, but how much could that be? If the Giants stop winning you can bet they’ll come up with some excuse . The Giants have no KNOWN PED players currently on the team, which may explain part of their drop off this year, 2015. If they continue to lose, there will be some excuse. Can’t build another ballpark already. We’ll see. 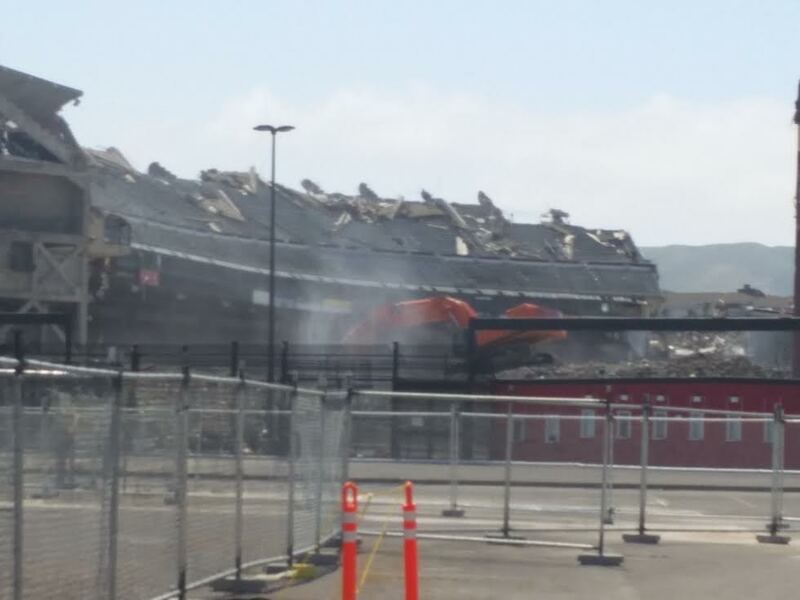 One last gate remains open for demolition trucks to come and go – but not for fans anymore. about players back then. You saw what you got. A homerun was a homerun – and the M and M boys hit a lot of them, as did the rest of the Giants. No second guessing whether a player was ‘legit’ or ‘enhanced.’ Players drank more booze back then, were more overweight and even took some greenies to stay ‘up’ during long road trips. But, even the greenies didn’t affect the outcomes of ball games. We weren’t overrun with media and political correctness back then,either. 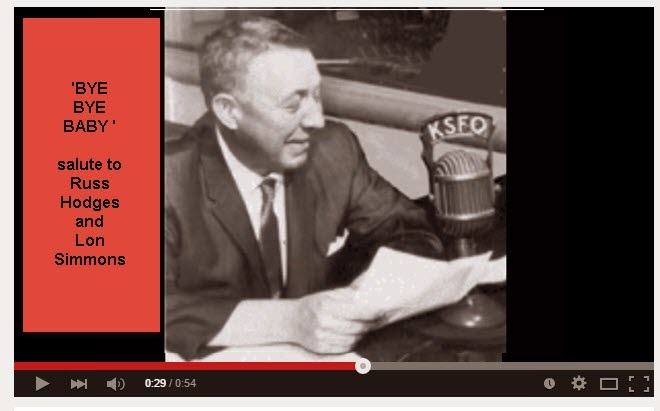 Players we rarely saw on TV were brought to life through the ‘color’ radio of Lon Simmons and Russ Hodges. Our imaginations took the place of ‘in your face’ social media. Maybe a little mystery was better than reading 140 character word-bites. The focus was more on the games, themselves. Besides, there were no ‘designer’ anabolic steroids or PEDs to speak of back then. It was a simple, more honest world that didn’t call for drug testing. With long-term,multi-million dollar contracts today brought on by stronger players unions, the pressure is on players to produce. Now, it seems that players are even being rewarded for taking enhancements as we see PED indictments being overturned (Bonds) and players making more money the second drug offence around (Cruz, Peralta, etc). 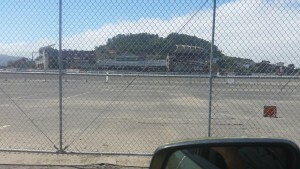 The Giants won there first three world series in sixty years with KNOWN PED users and key players (Torrez, Cabrera and Morse in 2010,2012, and 2014 respectively) and have seen 23 indicted players come through town since Bonds opened the flood gates in 1997. Today we’re living in an era where a player like Bonds , basically, can control a team as we saw his presense directly or indirectly force out key NON-PLAYING members of the Giants family,e.g. 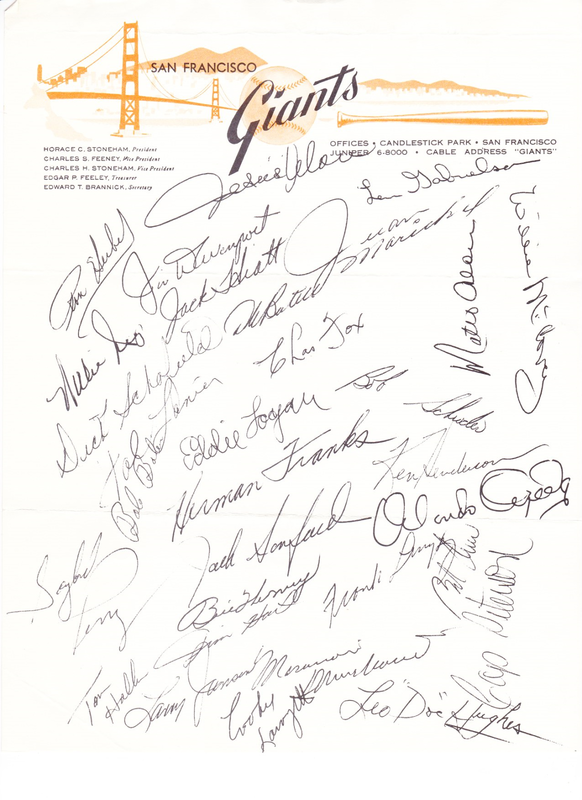 Bill Newcomb, Stan Conte, Dusty Baker, Hank Greenwald and even some players like Brian Wilson. Interesting that with Bonds, the Giants still didn’t win a world series. Only when ‘team CHEMISTRY’ got real good, if you will, did the Giants start winning. 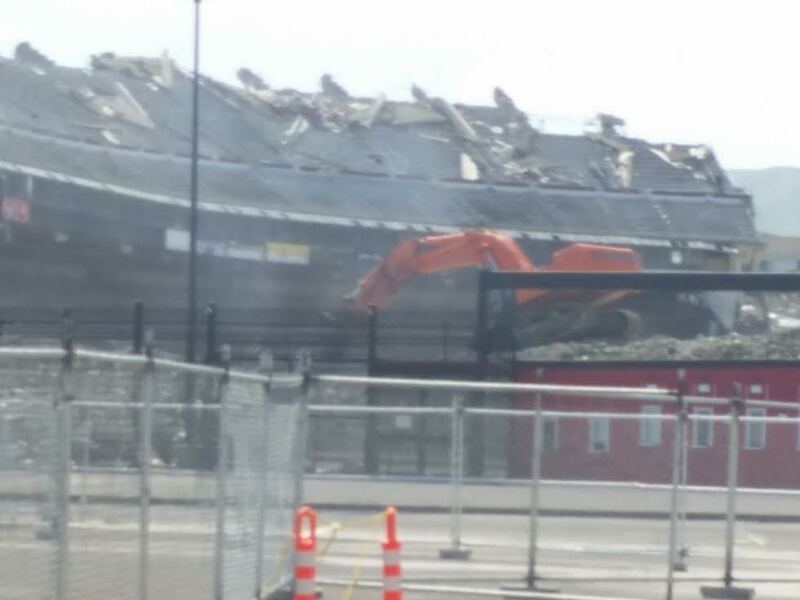 Ironic orange ‘monsters’ destroying the old orange and black stadium, home of the OLD orange and black of another era, when the Giants played like GIANTS without aid of any special enhancements. Cold weather didn’t matter. In fact, when they were winning nobody seemed to notice cold weather. Sure, some players could be surly and avoid signing autographs back then. But, they certainly never charged money for them as they sometimes do today. Today, players are paid extra so that they will interact with fans, do interviews, etc. Wasn’t the case back then. Players got one year contracts back then and that was it. 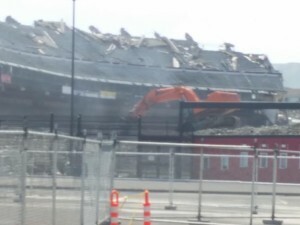 And it wasn’t a lot of money, where most players had to work during the off season. to their teams and teams were loyal to their players (and not just with multi-million dollar contracts). 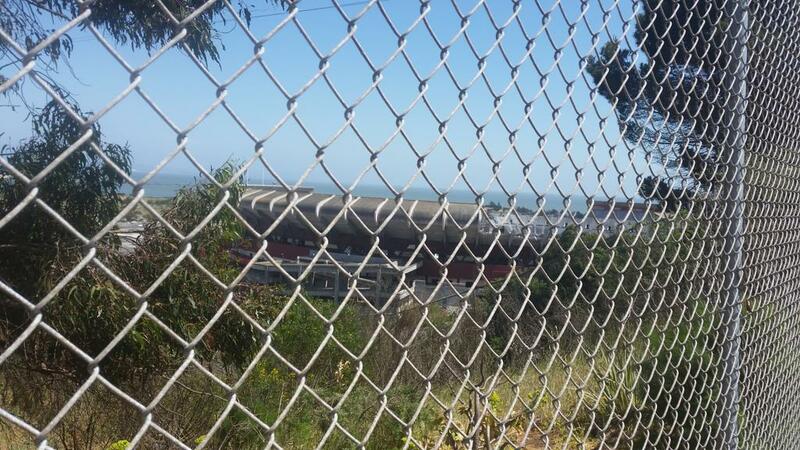 A year from today Candlestick will be no more. If you grew up in THE era, you, too, may want to to say goodbye to a good, old friend, the likes of which you’ll never see again , nor what’s took place inside. 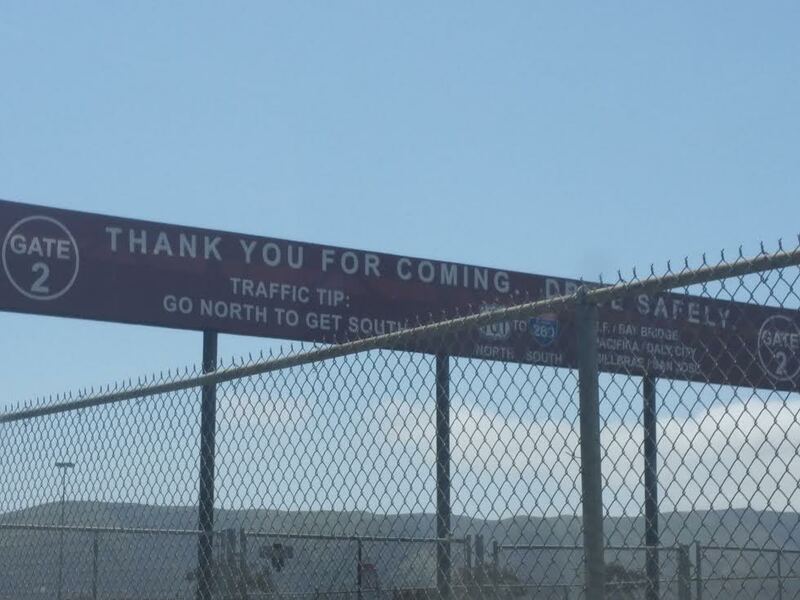 Yes, thank you for having us , Candlestick. 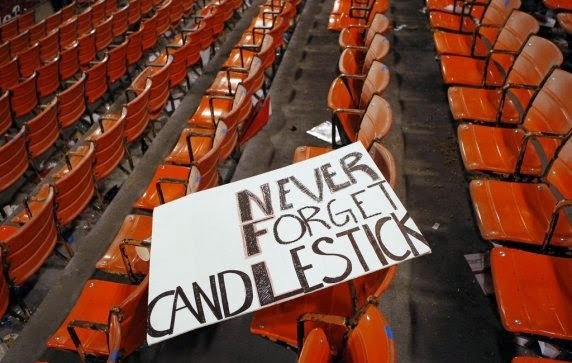 You did the Giants and 49ers proud and most fans loved you, at least when their teams were winning.